Something I find curious about State of Fear is that some characters are referred to by their last names and some by their first names. I didn’t notice the difference until I was going through the novel and making notes. I wonder if there is any particular reason for this. One obvious difference is that all females are referred to by their first names. The only male that is referred to by first name is Sanjong, which is sounds cooler than Thapa I think. Crichton seems to do the same thing in Airframe, and Casey Singleton is the main character. She is referred to as Casey and the men in the story are referred to by their last names--at least as far as I can tell from looking it over. I’ll have to examine Crichton’s other books to see if this is a pattern. It seems a male thing for men to refer to each other by last names and women by first while women seem to the opposite. Just another one of the male/female differences! I am almost finished reading 'Disclosure'. In this book Michael seems to bounce between first and surnames for both males and females. I disagree. I think we see this pattern frequently in society -- it seems to me that in junior high school, high school, college and in the working world, males are often referred to by their last names, whereas females rarely are. My husband went to an English state grammar school (he is in his late 40's) and they were expected to call each other by their surnames. He says he had to consciously learn to call his school mates by their Christian names when they were in public. I believe in those times females were either called by Christian names or Miss/Mrs. My understanding is also that in Australia the same thing was standard practice in our private schools and some state schools. So maybe it is just the tradition - albeit sexist. I agree. I think it's a man thing. Women don't go around calling each other by their last names. Good observation about the names--I never noticed. Aside from Sanjong, all the "first namers" are women. That's a common habit of students and instructors when discussing well-known authors. Emily Dickinson becomes Emily, while Hemingway is...well, Hemingway. Maybe it's a subconscious habit, left over from MC's school days. Hmm, wonder if MC will read this and consider Jones and Haynes for the sequel. I noticed it, too. The usual presumption is that reference by first name is demeaning. Or that reference by last name is cold and distancing. But, the presumption is that it means *something. * Once this became an issue several years ago, in other books I have carefully addressed everyone by either first or last name, or at least, primarily in one form or another. But I found that people who see demeaning or cold treatment in the use of names still see demeaning or cold treatment, but transferred their feeling to some other way that the stories treat characters. So it seemed like a lot of trouble for little useful result. Anyway, I argue there is no special meaning here. I could have referred to everyone by first or last name, but didn't. This is a topic I think I’ll research further. It’s a little on the nitpicky side, but I would still like to find out what Crichton did in his other works. Interesting article. Where is Michael Crichton quote on the matter from? I don't think I've come across that information before. Thanks for the interesting article. 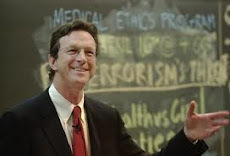 The quote from Michael Crichton is from the thread I started with this post during the online discussion which lasted throughout the month of November 2005. After the event ended, the discussion with all the post and comments was deleted, and so it can't be retrieved or looked up online. As one of the participants, I was able to download everything.